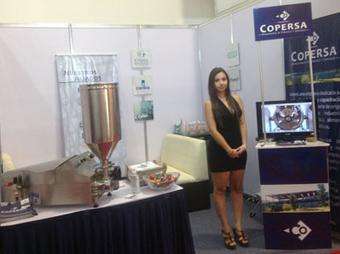 Adelphi was represented at ExpoPack Mexico this year by Copersa, our new agent signed up last month. They certainly hit the ground running and had an Adelphi Response proudly displayed on their stand. Interest in the bench top filler was pleasingly strong, with further interest in fully automatic filling and capping machines from the Masterfil range. Our flights are booked to spend a week assisting with on site demos and sales meetings as a follow up to the show.